Inspired to help people and impact the greater good, Seth Coppe, a recent George Washington University graduate, made it a goal to explore local opportunities and be proactive in his West Virginia community and now in Washington, D.C.
Seth found that path while working for Sen. Joe Manchin of West Virginia. His position supported the senator, but he quickly developed a cross-functional approach to his role by connecting with young West Virginians all across the state through youth outreach on behalf of the office. He decided to pursue a master’s degree to further develop his political education and leadership skills. 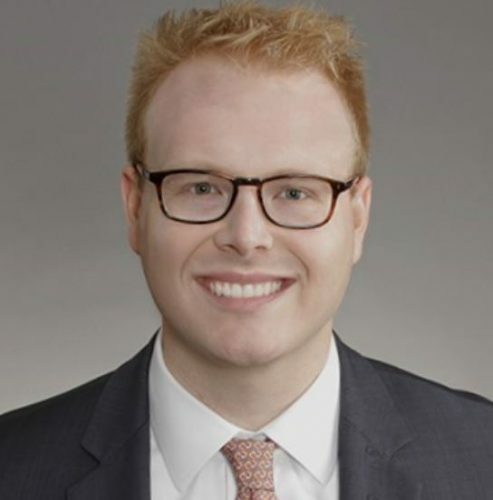 Midway through his master’s, Seth left Sen. Manchin’s office in West Virginia to work for the government relations team at the National Governors Association in Washington, D.C. Despite the close proximity to GW’s main campus, he continued his online education with GW because of the great rapport with his cohorts and online professors. Just a few weeks before his graduation in 2016, Seth received the opportunity to work directly for the CEO of the National Governors Association. He was able to apply his graduate-level education to this new position and credits his master’s degree as the reason for his promotion. Seth recently moved to a new role working for the leadership of the National Restaurant Association, where he continues to use those skills he gained in his graduate classes.